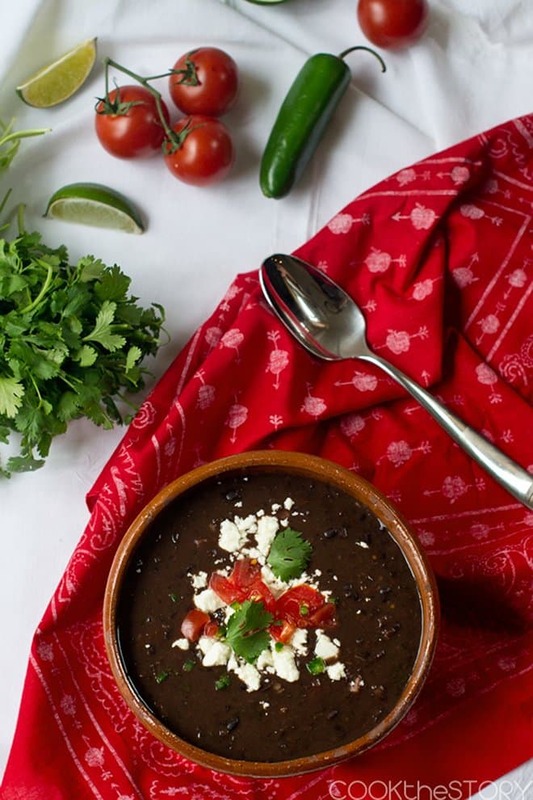 This black bean soup recipe is not only delicious but it’s also extremely quick to make. 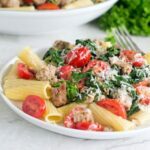 It uses canned black beans, canned diced tomatoes, a touch of Canadian bacon, and it’s topped with the fresh flavors of tomato and cilantro. 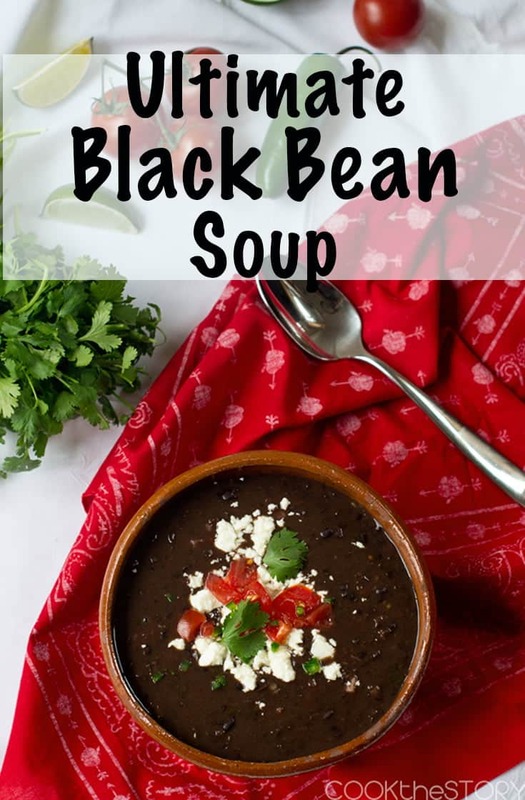 This black bean soup is hearty and flavorful. I served it for dinner alongside chicken sandwiches last week. One of the things I like best about this soup recipe: There are a bunch of toppings that everyone can decide to add, or not to add. 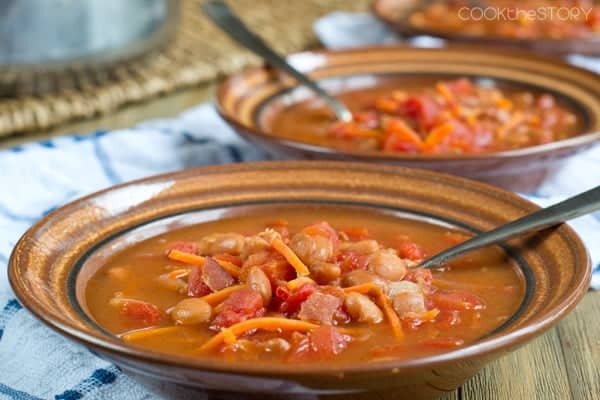 To make this ultimate black bean soup you first lightly brown some Canadian bacon. Remove it from the pot. Then you put canned black beans, diced tomatoes, chicken broth, garlic and cilantro into a blender to puree it up. Add the puree to the pot. Heat it through. While it’s heating, finely chop the Canadian bacon and then add it. Also, during this time you can chop up some toppings for the soup. I like fresh tomatoes, jalapenos, cilantro, lime wedges and queso fresco. You can use shredded cheddar cheese instead. 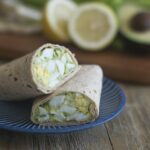 You could also go in with some diced avocado and/or some crispy tortilla strips. 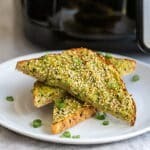 So many delicious ideas to try. 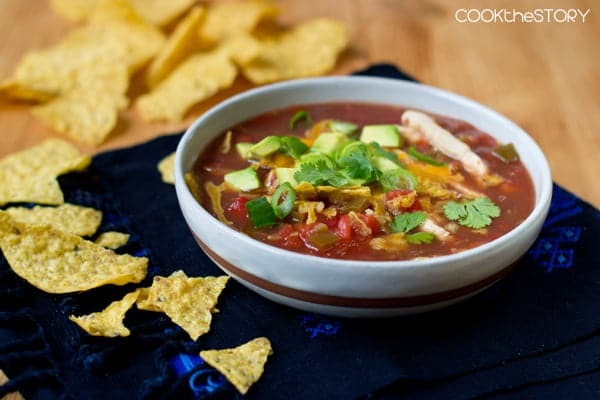 I should let you know that you can easily make this into a vegetarian black bean soup by omitting the bacon and using vegetable stock instead of chicken stock. To make it into a vegan black bean soup, skip the cheese. For a boost of meaty flavor to either a vegetarian or vegan version, add a few drops of vegan Worcestershire sauce. 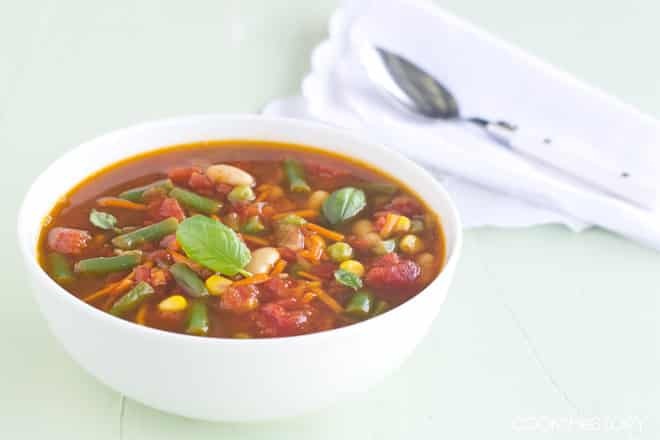 If you’re in the mood for more vegetarian soups, have a look at my delicious basic vegetable soup. It’s full of flavor and is ready super-quickly, just like this one. Heat the olive oil in a large pot over medium heat. Add the Canadian bacon slices. Cook until lightly browned, 1-2 minutes. Remove to a cutting board. Meanwhile, empty the cans of black beans and diced tomatoes with their liquid to a large blender, along with the garlic, chicken broth, 1/2 cup cilantro leaves, salt, and pepper. Pulse until all is in very small pieces (if your blender isn’t big enough, do this in two batches). Put the bean mixture in the pot over medium-high heat and cover it, stirring every few minutes until heated through. Meanwhile, finely chop the bacon and add it. Chop the tomato and jalapeno, crumble the queso fresco or shred the cheddar, cut the lime into 4 wedges and pick 25 leaves of cilantro. Arrange fresh ingredients on a large serving plate. Serve soup hot with fresh garnishes on the side. Disclosure: This post contains an Amazon affiliate link meaning that if you click it and buy something, I will receive a small commission. This is at no additional charge to you. All opinions are my own. This post originally appeared in July, 2014 and was revised and republished in June 2018. 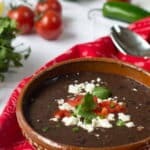 This looks delicious – I adore black bean soup! Even better though, I’m so incredibly excited about your “Soup in 15” series, which is such a fantastic idea, plus your “Souper Tips” (lol – great name! :D )! We all love soups at my house, but I especially enjoy making really quick soups for myself at lunch during the winter. I can’t wait to see what soup we’re cooking next week! 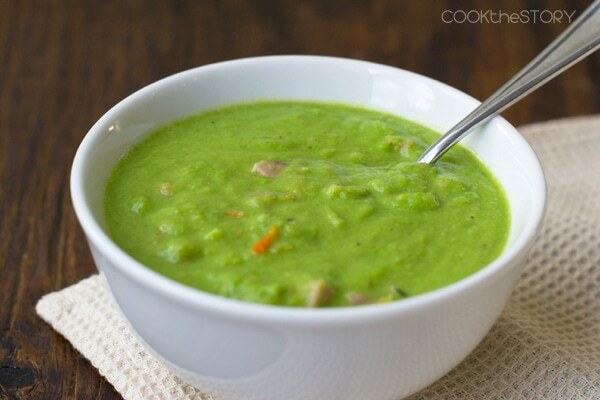 You know I love quick and easy and soups are always on the menu at my house!